We offer a comprehensive range of railing designs for interiors of multi storied homes, which is available in different designs to suit the varied requirement of the clients. 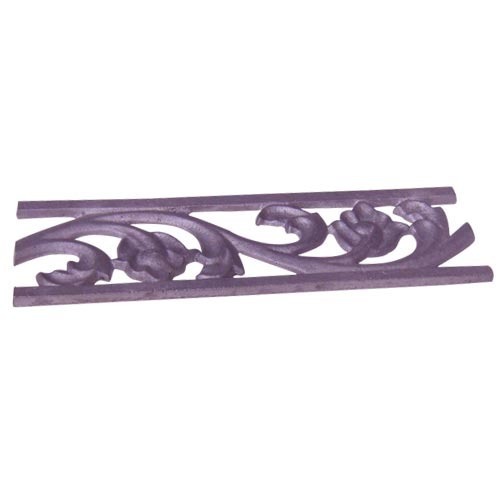 Established at Pune, Maharashtra we "Albra Foundry" are one of the leading manufacturers and suppliers of a quality assured range of Cast Iron Sanitary Fittings, Industrial Gratings, Iron Pestle & Mortar, Railing design, Dead Body Crematoria, Dead Body Cremation Frame and Cast Iron Wheel. In our wide range of products, we offer Manhole Covers, Gully Traps, Nahani Traps, Wash Basin Bracket, Gratings Round, Square Grating etc. The offered products are manufactured by our professionals using high grade raw material, procured from reliable vendors of the industry. These products are highly appreciated by our clients due to their fine finish, durability, robustness, strong construction, corrosion resistance and dimensional stability. Further, these products are designed by our experts keeping in mind the international quality standards. Available in various specifications, we can also customize these products as per the specific requirements of clients.